Fusion mesotherapy RF is a needle-free electroporation radio frequency device which can be used for various treatment protocols. 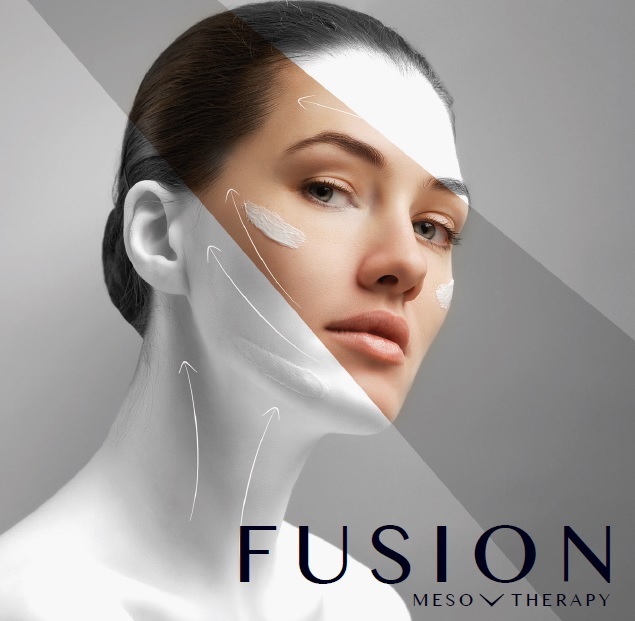 Fusion Mesotherapy RF emits pulsed radio frequency to open transitional channels and pores at cellular level. This process allows product to penetrate into the skin and into the cells. This treatment method is called electroporation, needle-free mesotherapy, no-needle mesotherapy or virtual mesotherapy. The transdermal transport of all kind of substances (ionic, non-ionic, oily, water based etc.) can be significantly increased. The patient does not feel any kind of pain, or electrical shock, only a slight heat that stimulates the collagen synthesis to produce a skin tightening effect. The radio frequency is delivered through the choice of two probes (face or body) and there are no attachments from the machine to the patient. Using Radio frequency energy to introduce medical grade ingredients (growth factors, Hyaluronic acid, peptides, retinol) into the deeper middle layer of the skin, where it can influence the behaviour of our cells. Fractional Mesotherapy is a new treatment, which combines micro needling therapy with the contemporary Mesotherapy practice. Since the 1990’s, micro needle therapy has long been used by practitioners in the form of Collagen Induction Therapy (CIT), to fade scars and generally as an anti-ageing treatment. Recently smaller size micro needles have been recognised for their capacity to dramatically increase the bioavailability of topical treatments and further enhance their transcutaneous absorption. The first key benefit from Fractional Mesotherapy is the induction of collagen by controlled wounding. Collagen induction builds layers of the supporting intracellular matrix, promoting healthy, resilient skin that looks younger. The second key benefit from Fractional Mesotherapy is increasing transdermal penetration of actives, facilitating higher product concentrations in the dermis. This has the potential to make topical treatments more effective. Studies suggest that using a skin needling system can increase the effectiveness of topical treatments by several hundred percent. Unlike standard dermal rollers, the Fusion SNS Meso Pen produces less micro-trauma to the skin which in turn effectively reduces redness and dehydration. The medical grade needles are penetrated vertically into the skin, or are safely glided across the skin in combination with a bespoke serum mixed to meet your specific requirements. The Fusion Fractional Mesotherapy treatment provides other advantages over a standard dermal roller treatment. Most significantly areas of the face that have previously been difficult to treat are no longer a problem, as the Fusion SNS Meso Pen has a small head making it easier to achieve superior results in areas around the eyes, nose and lips.